How to Flat Iron Curly Hair The Right Way! When you have thick, curly, seemingly unmanageable hair, it can feel overwhelming trying to learn how to flat iron curly hair. However, flat irons exist for this exact purpose, so even the thickest and curliest hair can be tamed. This helpful guide will teach you the best way to flat iron curly hair without spending hours doing it or getting frustrated in the process. After a few practice runs, you should nail the technique and become the master of your own hair. Although some people turn their flat iron into a flat iron curler to create loose curls and waves, the real purpose of a flat iron is to straighten hair. When you have thick, very curly hair, your flat iron may need a bit of help to smooth everything out. It’s a good idea to use a shampoo and conditioner that’s designed for thick, curly hair. Most formulas for this type of hair have smoothing properties that can tame your curls and keep your hair looking shiny, healthy, and ready for the flat iron. If you don’t yet have a shampoo and conditioner you love, you should ask your stylist for a recommendation. He or she can suggest a brand that best meets the needs of your hair, especially if you plan to flat iron curls frequently. Many women use an anti-frizz serum when using a flat iron to curl hair or straighten curls to prevent the inevitable frizz that can come from using such high heat against the hair. Thick, curly hair tends to look and feel dry if it’s not consistently nourished. An anti-frizz serum can nourish your hair by offering protection against heat and humidity by hydrating the hair deep within the cuticle. You should also protect your hair from the heat of your flat iron with a heat protectant spray. These sprays work much like sunscreen does for your skin, offering a layer of protection as a barrier between your hair and the heat from the flat iron. Since flat irons can damage hair with no protection quickly, it’s crucial that you use a heat protectant spray every time. You don’t want a flat iron that curls your hair; you want a flat iron that straightens it! People who want to use a flat iron to curl their hair usually choose an iron with narrow plates to give tighter curls. You’ll want a flat iron with wide plates, preferably about two inches or wider, which can allow more hair on the plates at one time. Your flat iron should also feel comfortable in your hand. Some can be bulky and heavy, while others are lightweight with comfortable handles and grips to prevent slipping. Another helpful feature to have is plates that move slightly as you move the iron through your hair. This helps your hair glide more naturally through the plates to prevent painful snagging or pulling. The process of using a flat iron for curls starts with a good shampooing and conditioning. Think of this stage like the preparation stage before you begin using your flat iron. Flat ironing can put a lot of stress on any hair. Curly hair tends to be naturally drier than other hair types already, so it’s important to nourish it beforehand, from root to tip, to give it as much hydration as possible. Shampoo and condition your hair as you normally would, making sure to let your conditioner sit on your hair for a couple of minutes and paying special attention to covering the ends with conditioner. Wrap your hair in a towel after your shower. At this point, you should only concern yourself with getting your hair somewhat dry rather than drying all of it. Basically, you don’t want it dripping wet. Leave your towel on for just a few minutes to let it soak up extra water from your hair. Remove your towel and gather up your anti-frizz serum and hair protectant spray. Add a small amount of anti-frizz serum to the palm of your hand. Glide the serum through your hair slowly, ensuring that you cover your full head of hair. Work the serum through your hair with your fingers. Then, apply your heat-protectant spray by spritzing it on your hair and combing it through with a long-toothed comb. You can use your fingers to lengthen and loosen your curls as you work the spray through your hair. Use a paddle brush as you blow-dry your hair until it’s dried completely. Slowly move the blow dryer over sections of hair as you brush them, working your way from the roots to the tips of your hair. This process will loosen your natural curls to help your flat iron work more efficiently. If your hair is very thick, you may want to blow-dry sections at a time by clipping back some hair while you work on a different section. After your hair is dry, apply some more heat protectant spray, again covering your hair from root to tip to protect it from the heat of your flat iron. Plug in your flat iron for curls and power it on. Check the instructions to learn how to power on the tool and how to change the heat settings, if there are any. Most flat irons come with at least a low and high heat setting. If yours does, you should set the heat to high. If your flat iron only has temperature settings, then stick to about 350-degrees for the first couple of times until you see how your hair responds. If your hair isn’t straightening at this temperature, then boost it up slightly until you see results. It’s always best to use the lowest heat setting your hair can stand to prevent damage. To keep the hair you’re not working with out of the way as you flat iron it, you should separate your hair into sections and clip back the unneeded sections. Then, separate the bottom portion into two sections and clip up one of them. Work only with one section at a time. When you finish straightening the bottom portion of your hair, you can unclip the top, separate it into two sections, and repeat the process. Take small, two-inch sections of hair from the portion you’re working with. Pull the hair straight out to the side and place your flat iron near your scalp. Clip the flat iron around your hair as close as possible to your scalp as you can. Slowly glide your flat iron along the section of hair from the root to the tip, making sure you don’t clamp the flat iron so tight that it becomes difficult to slide your hair through. Continue working on small sections until you straighten all of your hair. Now you know how to flat iron curly hair, but what should you do with your hair once you finish? After flat ironing, you’ll want to give your hair a little love to keep it nourished and give it some extra hydration. You may want to add some more anti-frizz serum or a smoothing serum to your hair, from root to tip, to give it some moisture and restore some shine. If your hair looks too flat and limp after straightening it, you can also use a gentle texturizing spray to lift it up. Spray it at the roots and gently scrunch your hair near the scalp to bring some life into dull-looking strands. Continue using your favorite shampoo and conditioner when you wash your hair and swap out your regular conditioner for a deep conditioning mask once a week. Your thick, curly hair deserves just as much life and love as straight hair! Using the right flat iron and styling products makes a world of difference between having frizzy flyaways and achieving the smooth, finished look you were going for. Knowing how to flat iron curly hair the right way using proper techniques will also keep your hair from getting damaged or looking unruly after you straighten it. Prep your hair with conditioner, anti-frizz serum, and a heat protectant spray before separating your hair and straightening it with your flat iron for a healthy, smooth look. 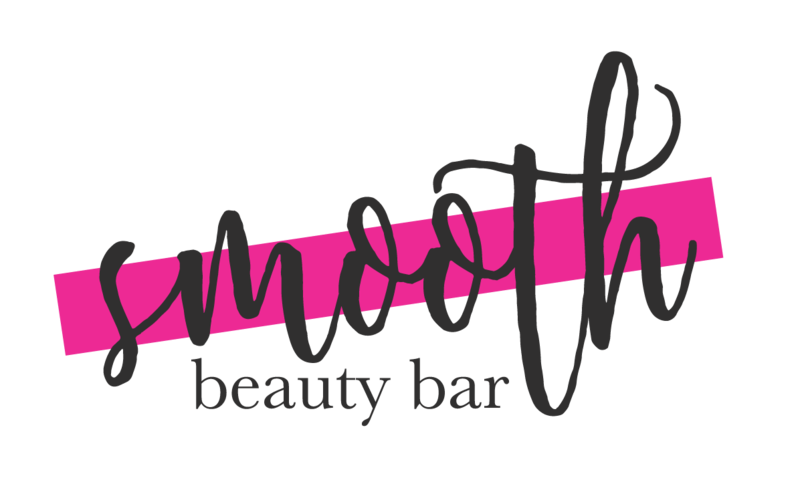 YIKES – How to Treat a Curling Iron Burn – Do This ASAP!! 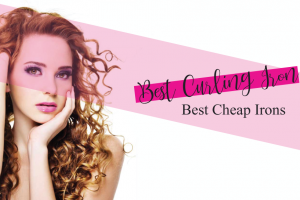 What Curling Iron Size is Best for the Perfect Curls? 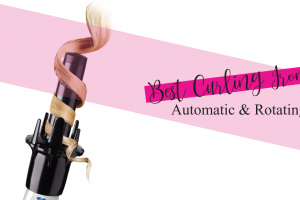 Curling Iron Vs. Flat Iron – What Makes Better Curls?